In this post, let’s see the features of Indus Valley Civilisation arts as part of the Indian Culture notes based on the NCERT text ‘An Introduction to Indian Art’ – Part 1. A detailed note about the features, sites, society, religion etc. of Indus Valley Civilisation is already published in this website. As we have covered the prehistoric arts of India in the last article, we shall move to the next major era in the cultural history of India, ie. 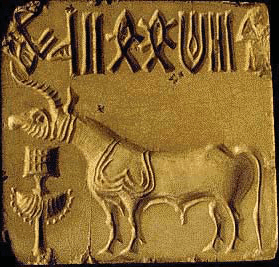 arts of Indus Valley. The arts of Indus Valley civilisation, one of the earliest civilisations of the world, emerged during the second half of the third millennium (Bronze Age). 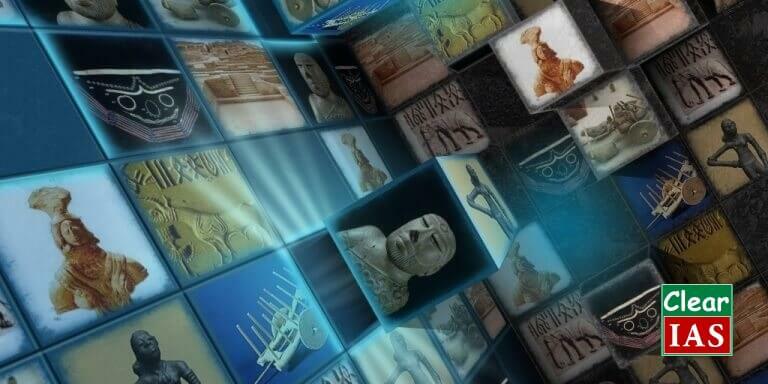 The forms of art found from various sites of civilisation include sculptures, seals, pottery, gold ornaments, terracotta figures, etc. Their delineation of human and animal figures was highly realistic in nature. Modelling of figures was done in an extremely careful manner. Two major sites of Indus Valley civilization, along the river Indus are: North – cities of Harappa; South – Mohenjo-Daro. The site showcase one of the earliest examples of civic planning. Houses, markets, storage facilities, offices, etc. arranged in a grid-like pattern. In this pattern, roads were cut across one another in 90-degree angle and the city was divided into blocks. There was also a highly developed drainage system. Materials used: Stone, Bronze, Terracotta, Clay etc. Stone statues found in Indus valley sites are excellent examples of handling the 3D volume. Bearded man’s figure made of Steatite. The figure interpreted as a priest and is draped in a shawl coming under the right arm and covering the left shoulder. The shawl is decorated with trefoil pattern. The eyes are elongated and half closed as in a meditative concentration. Nose is well formed and medium size. Short cut moustache and a short beard and whiskers. Hair is parted in the middle and a plain woven fillet is passed round the head. An armlet on the right hand and holes around neck suggest necklace. A slight touch of the Greek style of statues can be seen overall. Found in Harappa (only major art element found in Harappa). There are socket holes in the neck and shoulders for the attachment of head and arms. The shoulders are well baked and the abdomen slightly prominent. One of the well carved and finished work. Bronze casting was practiced in wide scale in almost all major sites of the civilization. The technique used for Bronze Casting was Lost Wax Technique. [Initially, the figure needed is made of wax and covered it with clay. After allowed to dry the clay, the whole thing is heated so that the wax inside the clay will be melted. The molten wax was then drained out through a tiny hole made in the clay part. The hollow mold of clay thus created was filled with molten metal. Once it cooled, the clay cover was completely removed]. Human as well as animal figures are present in the Bronze casting. Amongst animal figures the buffalo with its uplifted head, back and sweeping horns and the goat are artistic merits. Copper dog and bird of Lothal and the Bronze figure of a bull from Kalibangan shows that Bronze casting was popular at all centers of Indus valley civilization. Metal casting continued even after the Indus valley civilization through late Harappan, Chalcolithic people, etc. 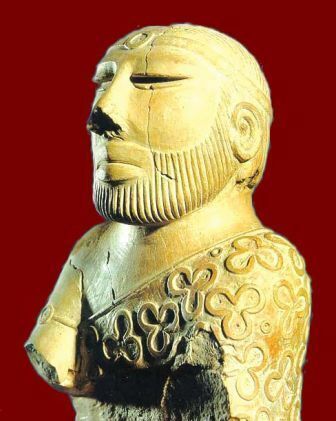 One of the best-known artifacts from Indus valley. Approximately 4-inch high figure of a dancing girl. This exquisite casting depicts a girl whose long hair is tied in the bun and bangles cover her left arm. Cowry shell necklace is seen around her neck. Her right hand is on her hip and her left hand is clasped in a traditional Indian dance gesture. She has large eyes and flat nose. Bronze figure of the bull found in Mohenjo-Daro. The massiveness of the bull and the fury of the charge are eloquently expressed. The animal is shown standing with his head turned to the right. There is a cord around the neck. Terracotta figures are more realistic in Gujarat sites and Kalibangan. In terracotta, we find a few figurines of bearded males with coiled hairs, their posture rigidly upright, legs slightly apart, and the arms parallel to the sides of the body. The repetition of this figure in exactly the same position would suggest that he was a deity. A terracotta mask of a horned deity has also been found. Toy carts with wheels, whistles, rattles, bird and animals, gamesmen, and discs were also rendered in terracotta. The most important terracotta figures are those represent Mother Goddess. These figures are usually crude standing figures. Adorned with necklaces hanging over the prominent breast and wearing a loin cloth and a grid. The fan-shaped headdress with a cup like projection on each side is a distinct decorative feature of the mother goddess. The pellet eyes and beaked nose of the figure are very crude (constructed in a rudimentary way). Mouth is indicated by a narrow opening. Thousands of seals were discovered from the sites, usually made of steatite, and occasionally of agate, chert, copper, faience and terracotta, with beautiful figures of animals such as unicorn bull, rhinoceros, tiger, elephant, bison, goat, buffalo, etc. The purpose was mainly commercial. They were also used as amulets, carried on the persons of their owners, perhaps as modern identity cards. Every seal is engraved in a pictographic script which is yet to be deciphered. Some seals were also been found in Gold and Ivory. Indus valley pottery consists of very fine wheel made wares, very few being handmade. Plain pottery is more common than painted ware. Plain pottery is generally red clay, with or without a fine red or grey slip. The black painted ware has a fine coating of red slip on which geometric and animal designs are executed in glossy black paint. Made on a potters’ wheel with clay. The shape was manipulated by pressure of the crafty fingers of the potter. After baking a clay model, it was painted with black colour. High polishing was done as a finishing touch. Motifs are vegetal and geometric forms. The Harappan men and women decorated themselves with a large variety of ornaments produced from every conceivable materials ranging from precious metals and gemstones to bone and baked clay. White necklaces, fillets, armlets and finger rings were commonly worn by both sexes. Jewellery found at Mohenjo-Daro and Lothal include necklaces of gold and semiprecious metal stones, copper bracelets and beads, gold earrings and head ornaments. A cemetery has been found at Farmona in Harappa where dead bodies were buried with ornaments. Well developed bead industries were present at Chauhudaro and Lothal. Some beads were made of two or more stones cemented together. Also made models of animals, especially monkeys and squirrels, used as pin head and beads. Spinning of cotton and wool was very common (both rich and poor practiced spinning). Men and women wore two separate pieces of attire similar to dhoti and shawl. Shawl covered the left shoulder passing below right arm. They were conscious of fashion. Different hair styles were in vogue and beard was popular. Cinnabar was used as a cosmetic and face-paint, lipstick and collyrium (eyeliner) were also known to them. Sir, great job done by “clearias.com”. You are showing light to move ahead to those who are in dark while preparing for IAS Exam. Your materials are really great. thanks . The value of your materials and guidance will be remembered by the user throughout his/her carrier. Really ,Sir you are doing a great job. It is a great boon for the financially weak aspirants.Your material is really very good. Being written in a very easy to understand language it is of immense help for the aspirants ,especially for the freshers!!!!! 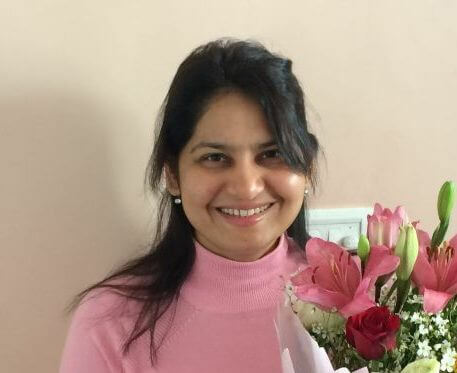 According to question what is given then use these studying concepts and write your answers effectively and different from others.it is a upsc exam not a university exam giving like simple question and answer.it checks how to approach to asking question.they check conceptual clarity and real time examples. Can you provide this material in hinadi language..???? Sir, I’m a new asprint for ias 2016. I have soved some privise 3 year prilem question paper , l have answer averge 45 quesion but i m poor in english vocabulary. How can i preper for next year prilem and mains. I can’t go to any coaching. Plz guide me. Thx sir…being studyng from rural area,i found your material and compilation very useful . It is not showing any option to save file in PDF.can u help? 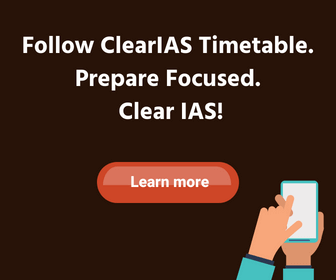 thanks Clear Ias for ur valuable support and guidance….